This Wall Street Journal and Business Week bestseller is the Fox handbook on making more sales. Filled with pointed tips on sales efficiency, effectiveness, and style. 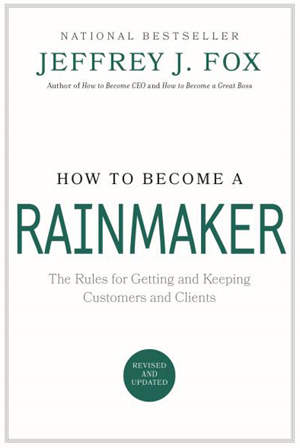 Rainmaker is the most readable book on selling on the market today. It is sure to make your best salesperson better, and will move new hires swiftly up the learning curve of professional selling. Updated 2015 edition now available.